It’s the summer of 1995, and in the hills above Los Angeles, Riley Oliver is trying to find redemption in rock ‘n’ roll. Fifteen years have passed since his band flamed out at CBGB, and Riley sees the life his former guitarist Will Turner has built -- successful producing career, the lovely Lena for a wife, a gated home -- and he wants some of that luck for himself. Jumping the fence, Riley brings the shadows of the past back to Will, and long-buried conflicts darken the sunny Southern California scene. Lena becomes restless, too; she has been living in the background of the music industry far too long, and this summer becomes one of longing and self-discovery for her and for her uninvited guest. After years of managing a video store, Riley has taken flight across the country to find the man he could have been: the singer-songwriter who made it. Is there something in his music, something alluring and deep, that will carry him into the future he seeks? Los Angeles is the city of dreams fulfilled and destroyed, and the summer is one on a knife’s edge as Riley and Will build an album that could be either everything or nothing, even while Lena and Riley circle each other ever more tightly. Drummers and bassists, throaty singers and eager A&R men pass through, and music is a passion that happens to also be a business in this town. Riley seems to thrive in it, but the mysterious circumstances of his arrival with a few songs in his pocket and a black Gibson over his shoulder keep everyone wondering what he really wants, after all this time. 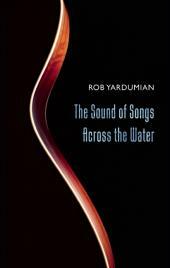 Like The Sounds of Songs Across the Water Facebook page to keep up to date with news and reviews. "...the novel read like a well-done fantasy tale, inviting me into a world I know nothing about and answering all my questions without making me feel stupid for asking them."